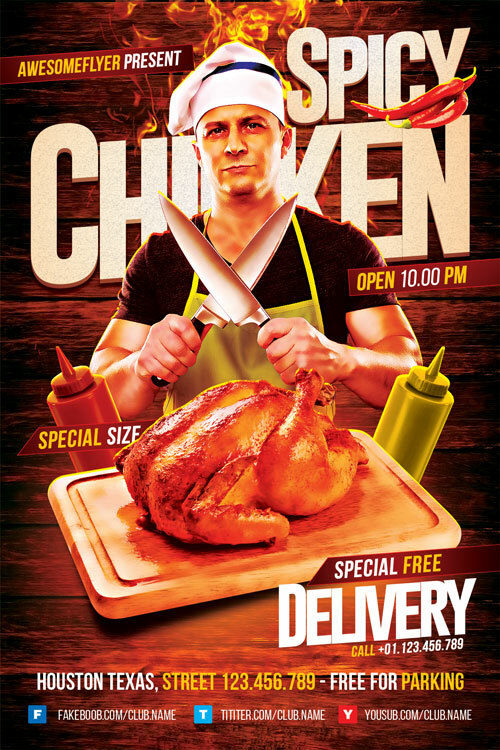 The Spicy Chicken Restaurant Flyer Template was designed to promote your next Restaurant Dinner and Food Event. This print ready premium flyer template includes a 300 dpi print ready CMYK file. All main elements are editable and customizable. The flyer is fully layered and organized to keep customization very simple! All our items are designed in .psd (Adobe Photoshop) format to be modified and edited with flexibility. You can easily change texts, colors, add and remove objects to this and all our .psd layered templates.